As part of my relationship with God through Christ, in an effort to grow in faithfulness and usefulness to God, I try to spend quiet time with God each morning. I do so using a format described here. What's written below is from my journal from a few days ago, when I read Acts 1, in the New Testament portion of the Bible. Because of a recent “dialog” with atheists on Twitter, this verse caught my eye today as it hadn’t before. The resurrection of Jesus is maybe the most outrageous claim we make as Christians. But it was as outrageous in the first century as it is in this century. It’s a claim likely to be met with skepticism. That’s true even for people who see themselves as following Jesus. In Matthew’s account of the risen Jesus’ ascension, it says that when the eleven apostles met Jesus at the appointed place: “When they saw him, they worshiped him, even though some of them doubted.” (Matthew 28:17, GNT) Despite having spent time with the risen Jesus, some of the apostles doubted. Resurrection is so outside the realm of human experience that even when the apostles who had followed and loved Jesus saw (and touched) Him risen in the flesh, they doubted. I’m glad that the Bible includes this detail. It signals that this isn’t a book of fantasy. The doubts of those who followed and knew Jesus best are recorded, underscoring the credibility of their insistence that Jesus did rise from death. The verse from Acts indicates that Jesus understood how hard resurrection is to accept for us. Even though our grief over the loss of loved ones argues that we know that death isn’t the intended fate of human beings, death is still such an ingrained part of the human experience (the ratio of human births to human deaths is still 1:1, as a seminary professor of mine used to say), that we find it hard to believe that Jesus was raised from the dead. These sometimes-skeptical, sometimes-doubting people would endure persecution and the threat of execution insisting that they had seen the risen Jesus. Their previous hard-headed doubt would underscore the truth of their witness. I’m so grateful for them and for the different places the New Testament writers recorded the skepticism and doubt of the first disciples. It makes their witness more believable. Listen: [I imagine God telling me this through Acts 1:3;] You may not doubt Jesus’ resurrection, but you wrestle with your own doubts, Mark. You doubt My grace for you. You doubt My forgiveness for you. You doubt that you could endure the exposure of your true weaknesses and sins, to the point that you hide them from others and try doing so even from yourself. In fact, some of the things you count as weaknesses aren’t weaknesses; they’re attributes of your personality that don’t conform with who you want to be. You have a picture of who you want to be that has nothing to do with who you are. On the other hand, you doubt--despite what you insist is the case--that you can change for the better. You doubt your own self-control. You doubt your capacity for growth, for an old dog to learn new tricks. Trust Me, Mark. 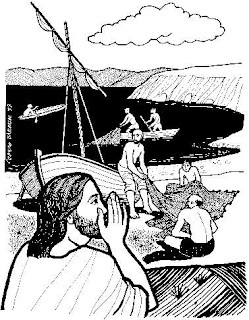 Respond: Risen Jesus, today help me to trust in You more than I trust my fears or my preferences. In Your name. The fact is that you don’t have to be an atheist to feel that way. It’s what the devil felt and why he’s been in rebellion against God all these millennia. It’s what we all feel, believers and unbelievers alike, when we’re tempted by sin or rationalize our ways to committing sin despite the witness of God’s law written on our hearts [Romans 2:15]. The truth is that none of us wants anyone bigger than us telling us what to do. We want freedom. (Or at least what we call freedom.) We want to be our own bosses. So, why would anyone follow Jesus? The answer to this question is as mysterious and wonderful and, ultimately, as plain and compelling as Jesus Himself, I think. We see some of that answer in today’s Gospel lesson, Matthew 4:12-25. The events it recounts occurred immediately after Jesus had been tempted in the wilderness. At the outset of our lesson, we’re told that after John the Baptist was arrested, Jesus went to the region of Galilee, then left Nazareth, the town in which He was raised, and settled in another Galilean town, Capernaum. Capernaum was a seaside place, now known as Tel Hum. The entire region is part of the inheritance of two of ancient Israel’s tribes, Zebulun and Naphtali, from which the Old Testament prophet Isaiah said “the light of the world” would dawn on the world. It’s interesting that God decided that the light of the Messiah should initially be revealed there. It was looked down upon by the good religious folks of Judea because its residents came in frequent contact with Gentiles, non-Jews. But by beginning here, God was signaling that the Son of God, Jesus, hadn’t come just for Jews. He came for all people, including you and me. That was the message. It still is. It’s a message that Jesus delivered in more than just words. It still must be. Trust in Him more than they trust in their own judgment. Trust in Him more than they trust in their own feelings. Trust in Him more than they trust in anyone or anything else. So, my atheist correspondent was right in one sense: To trust in Jesus is to submit to a King Who is bigger than us. This may not seem like such a compelling offer. Yet, as we’ll see, there were people--seemingly self-sufficient, enterprising, successful people--willing to turn from their sins and turn away from whatever else they were doing in life in order to follow Jesus. There is no way that Simon, Andrew, James, or John could know what awaited them. They didn’t know that this Man Who called them was God-in-the-flesh. They didn’t know that He would be crucified. They didn’t know that they would be crucified or executed for their faith in Jesus. Nor could they see the glory and eternal life that awaits all who trust Jesus with their sins and their lives. And they couldn’t see all that they would end up doing to tell others that, in Jesus Christ, “the kingdom of heaven” had drawn near to all people and that all they needed to do to become part of it was repent and believe in Christ. They just followed. But why? Matthew records that as time went on, Jesus performed fewer miracles and focused more on speaking His message. But at the beginning of His ministry He performed many miracles. And all of them--the healings, driving out demons, relieving people of pain, removing paralysis from dead limbs--were also part of His message. And the message was simple: This Jesus had absolute control over life, death, and the elements of the universe; this Jesus was and is God and because He is God, He can give what only God can give, new life. What kind of man is this who can send demons packing? What sort of person is this who can erase pain, remove death, destroy leprosy? When Simon, Andrew, James, and John first followed, they didn’t know what that might entail for their lives, but they did know that they wanted Jesus, they wanted life with Him. Most people in first century Judea didn’t want Jesus as their Lord, of course. That’s why they crucified Him. But even then, the power of God over life and death and the universe are such that Jesus could not be kept dead. As Peter would later say: “it was impossible for death to keep its hold on him.” (Acts 2:24) He rose on Easter, demonstrating that faith in Him is not in vain, that God will have the last word, and that all who repent and trust in Christ will live with Him forever. But what about our freedom? 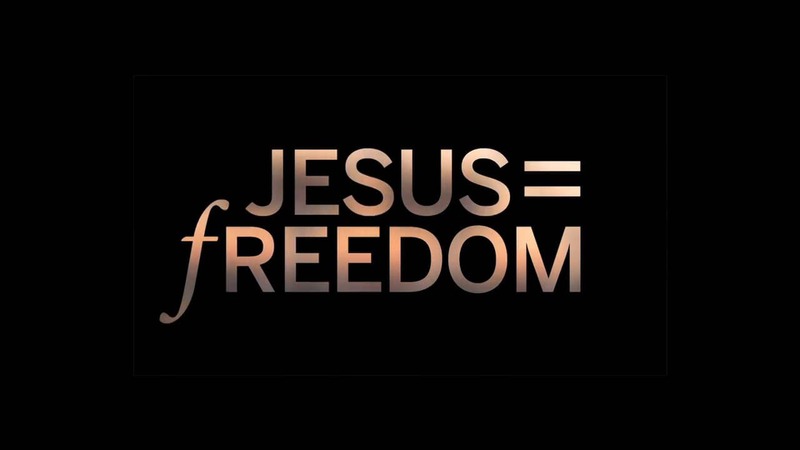 When Simon, Andrew, James, and John followed Jesus, did they give up their freedom forever? Yes. And no. They gave up the freedom to do whatever their sinful natures dictated to them, to shaft whoever they wanted to shaft, to desecrate themselves and their worlds in the selfish pursuit of worldly happiness...and all worldly happiness has an expiration date on it that will come at the grave, usually before. But they also gained a greater freedom. 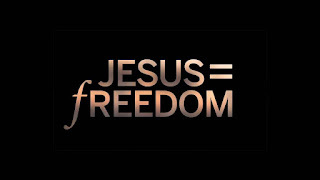 In following Jesus, we are set free from sin, death, and pointless lives. We are set free to live life with the love, abandon, fearlessness, hope, and purpose, now and in eternity, for which we were made. In Jesus, the God Who made us in His image, frees us to move toward lives that reflect the specifications and purposes for which He made us. He sets us free to be human: to live, to think, to love, and to be all that God created us to be. When, some time ago, our own Georgeann sensed God telling her that she needed to begin planning a weekend retreat for the women of Living Water and their friends, she thought of all sorts of reasons for not doing it. But God kept insisting. Was Georgeann exercising freedom when she said yes to God’s call? Absolutely! This is why people followed Jesus in Galilee. It’s why we follow Him still. It’s why we are Christ’s disciples today. In following Jesus, disciples do give up control of their lives. But unlike the other things to which we might give our lives in this world, Jesus gives us life back: a life filled with God’s love, God’s power, God’s promise, and the freedom to become exactly what God intended for us to be when He formed us in our mothers’ wombs.